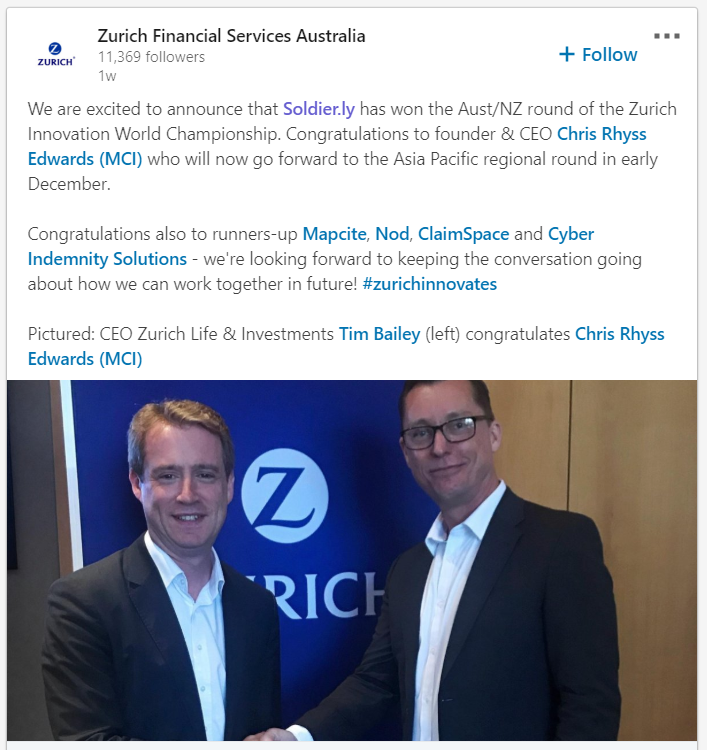 Cyber Indemnity Solutions are pleased to announce that we were placed runner-up in the Asia-Pacific round of the Zurich Innovation World Championship! The Zurich Innovation World Championship was created to showcase transformative technologies from inspiring startups and entrepreneurs in the insurtech space with 459 initial entries worldwide. Hans Schols, Greg Hodgkiss and Mike Hyatt from CIS, presented our Digital Asset Protection insurance policy among a group of some of the most innovative new insurtech product designs. Our congratulations to soldier.ly for their win in this regional event and we wish them success at the global competition.